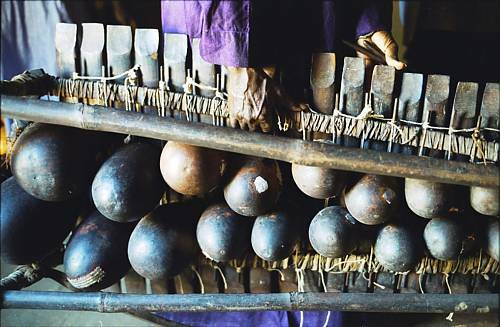 The sacred balafon instrument, known as the Sosso- Bala, has been perceived as the symbol of the freedom and cohesion of the Mandingue community, which is spread across a territory that once belonged to the Empire of Mali. 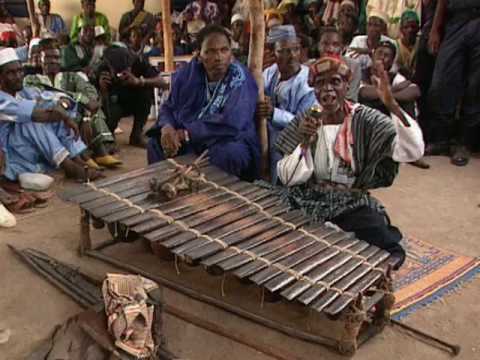 Originally owned and played by King Sumaoro Kanté, who succeeded to the Sosso throne in the early thirteenth century, the balafon has transmitted epic poems down through the centuries, principally the Sunjata epic that comprises hymns to the glory of the builder of the Mali Empire. 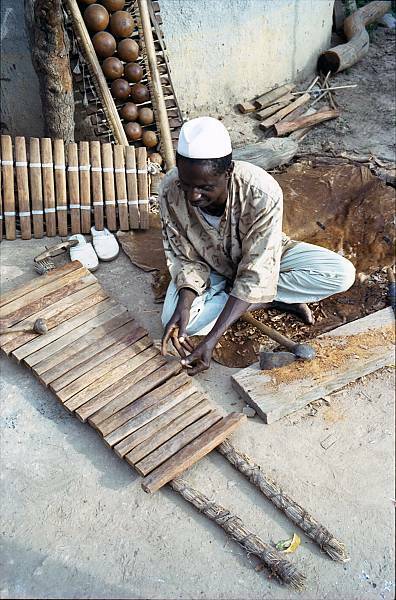 The instrument is a type of xylophone of about 1.5 metres in length, made of 20 slats carefully cut into different lengths and under each of which are fixed several calabashes. 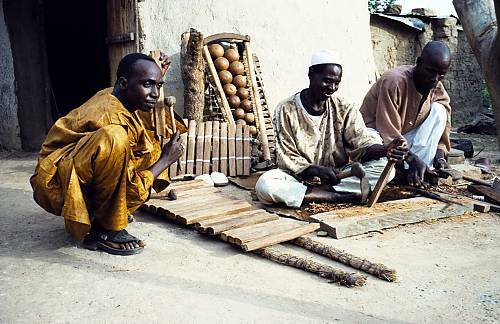 According to written and oral histories, the balafon was either manufactured by the king himself or given to him by a jinni (genie). 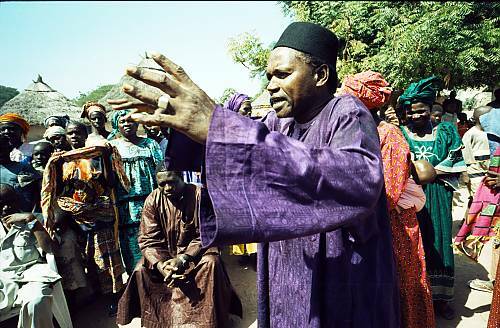 The original Sosso-Bala is preserved in a round mud hut with other sacred and historical objects in the village of Nyagassola in northern Guinea, an area occupied by the Dökala family, the Kouyaté griots of Nyagassola. 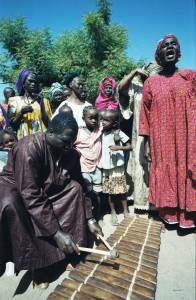 The Balatigui, the patriarch of the Dökala family, is the guardian of the instrument. 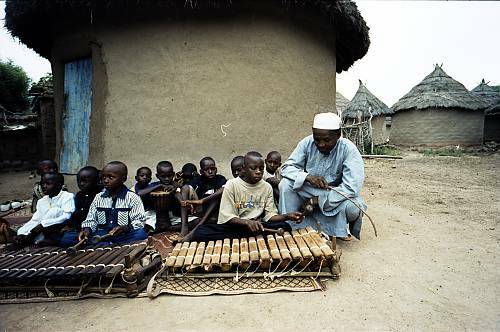 He is the only one who is allowed to play the Sosso-Bala on important occasions, such as the festival of the Muslim New Year and at burials. 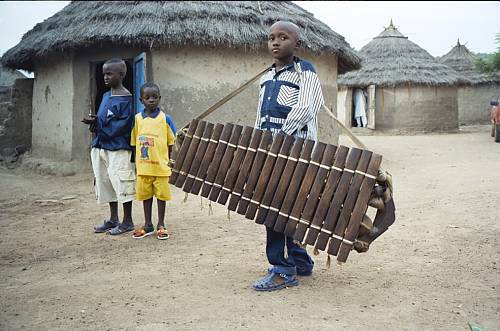 It is also the Balatigui who is responsible for teaching the balafon to children from the age of seven upwards. 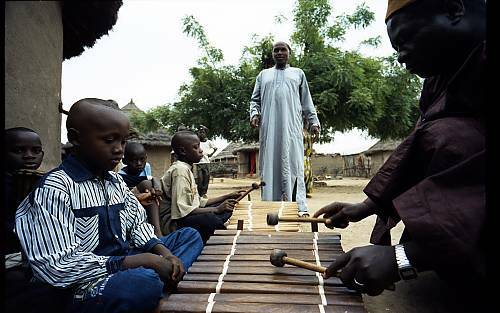 The progressive reduction in the number of pupils due to rural exodus is regarded as one of the main threats to the continuity of this musical tradition. 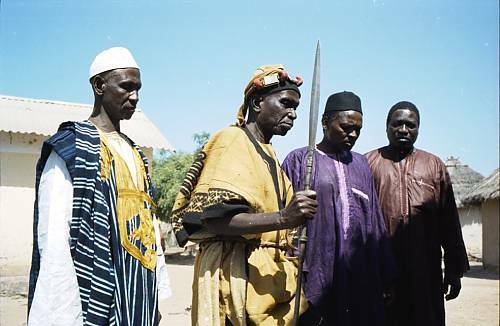 Additional factors include the fragility of the infrastructure and the difficult living conditions in Nyagassola. 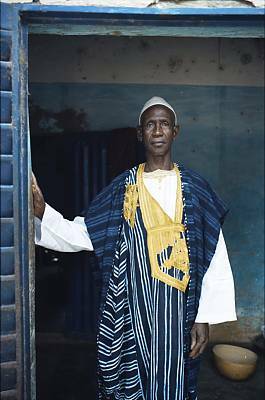 However, the Balatigui and other members of Dökala family, who still hold an important position in Mandingue society, have committed themselves to transmitting their knowledge and skills to future practitioners.